Simple effective ways to create a calm bedtime routine for your kids and teenagers. For so many parents a calm bedtime routine seems impossible. So many families are so stressed out and exhausted that bedtime can feel like a nightmare or the last straw. But the reality is children’s bedtime don’t have to be as stressful as you think. Some simple changes can make a huge difference to a family’s bedtime routine. As a stress therapist for 18 years, I know how effective a healthy calm bedtime routine can reduce family stress. A calm bedtime routine is important not just for the kids but the whole family. Believe me a calm bedtime routine into your evening routine. Can make every family member feels far more happier, healthier and resilient to all sorts of stress. Create healthy boundaries and a regular routine. It is important to have set times when your kids must be in bed, must have the lights out. 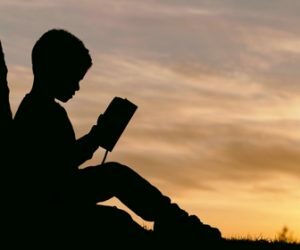 Even times when kids should stop eating, drinking and watching tv. So set specific times when they have to switch off their phone. Make sure stimulants are cut out or seriously reduced from early afternoon as stimulants stay in the body for many hours. For example let your child have their favourite treat or sweet early in the day. Encourage teenagers to stay away from caffeine stimulants. As sadly energy drinks are highly addictive and bad for your child’s health. In-fact the withdrawal and side effects can be quite serious. Encourage relaxing hobbies like drawing, painting, colouring in, listening to relaxing music. As most children and teenagers today struggle to switch off, relax and fall off to sleep. Kids are so mentally busy and overwhelmed. They have forgotten how to really relax. If you look at most new born babies they naturally know how to just be, how to switch off, be calm and content. Switch off and unplug. It is important children and teenagers have rest and quality sleep away from electric devices and technology. Because the electro magnetic frequencies and blu ray from ipads, iphones can play havoc with your child’s nervous system. Examples of healthier night time activities are a relaxing bath, a foot massage or baby massage for toddler or hobbies as mentioned above. Teach your child how to meditate, meditation helps your child feel more relaxed, more calm. 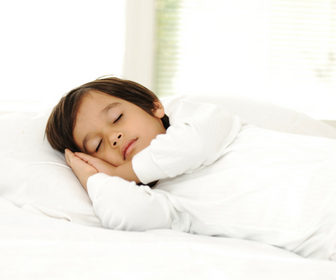 Guided meditations which are actually guided relaxations can help your child drift off into a deep sleep. So they can be particularly useful for sensory challenged children, more easily stimulated. Your Guardian Angel mp3 is one of my oldest and most popular relaxation tracks for children it is aimed at about 3- 8 years old. but even a little older children have enjoyed it. 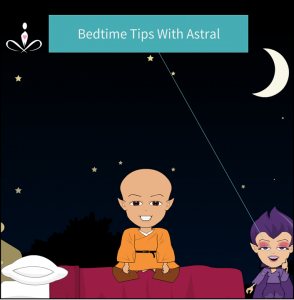 If your child likes learning and reading I have published the Bedtime Tips With Astral- cartoon video into a little cartoon ebook. So it will encourage your child to get off to bed when they are supposed to. And will remind them how important it is to get a good healthy sleep. Eileen is a highly sensitive empath, and highly experienced stress therapist, coach, healer and meditation teacher who has studied spiritual and holistic well-being for 25 years . Copyright © 2019 Eileen Burns 2019. All rights reserved.